Man in Bangkok they sell these things in chemists that are as abundant as 7-11's. Sidegra goes 400THB for 4 100mg. Which GP is affordable here in Durban? And how much do they charge for the prescription? 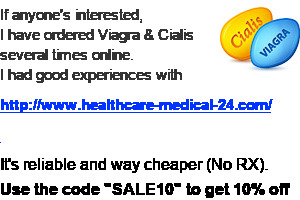 Kamagra 100mg, R100 for 4 is the general price. Gonna check it out next time I buy 2am pies. Buying pie at 2am? For sure you're gonna need pills. Usually by what you tell him. If you want a more thorough diagnosis, you'd have to say so. That could be complicated. OTC stuff works ok, Cialis/Kamagra definitely works. But where would you be able to get Cialis though. Via your GP. Answer a few questions and get the prescription. Not sure elsewhere. Its expensive from the chemist and Med Aid doesn't cover it. Luckily I never had side effects. A friend of mine gets one red ear. Also known as priligy.. I need it! Ha I joke. My Friend needs it.. Where to get? I am embarrassed to go doctor and ask..